PREFACE. 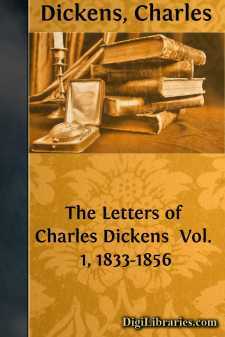 We intend this Collection of Letters to be a Supplement to the "Life of Charles Dickens," by John Forster. That work, perfect and exhaustive as a biography, is only incomplete as regards correspondence; the scheme of the book having made it impossible to include in its space any letters, or hardly any, besides those addressed to Mr. Forster. As no man ever expressed himself more in his letters than Charles Dickens, we believe that in publishing this careful selection from his general correspondence we shall be supplying a want which has been universally felt.